You can apply these to everything you do. 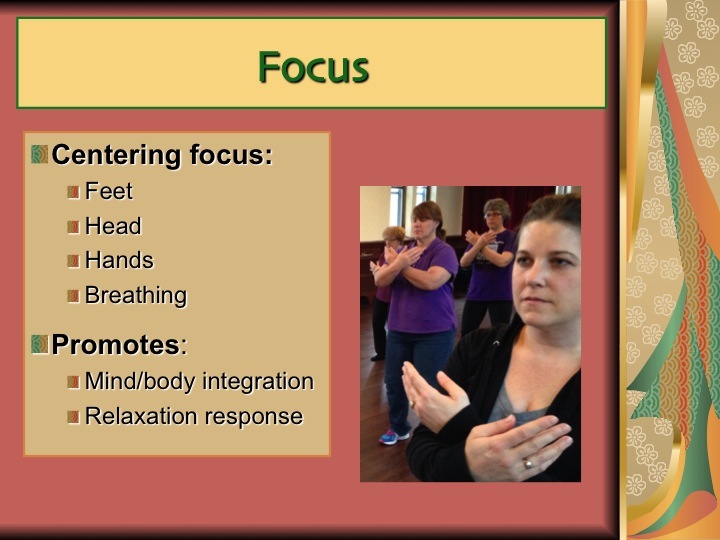 Focus: Tai Chi trains you to combine mental focus and physical action. 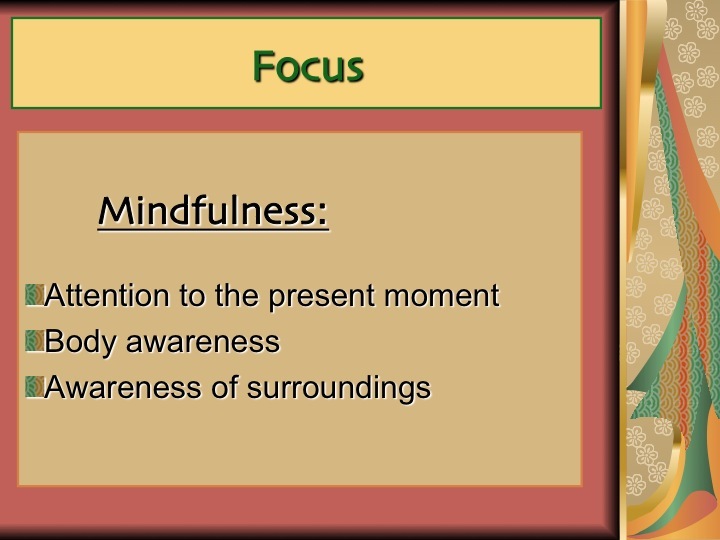 Bring your attention into the present; maintain awareness of your body and your surroundings as you move. 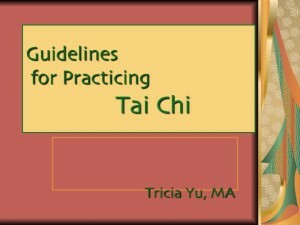 Relax actively: This may sound contradictory, but this state actually enables you to perform at your best. 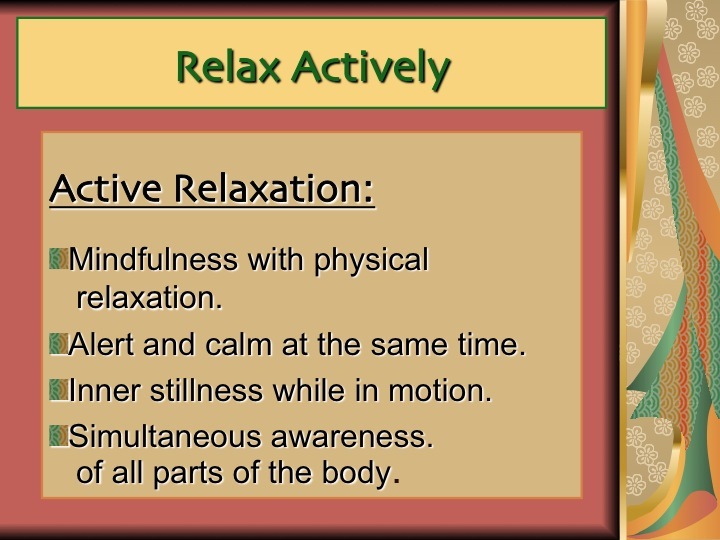 It means maintaining relaxed inner stillness while in motion. 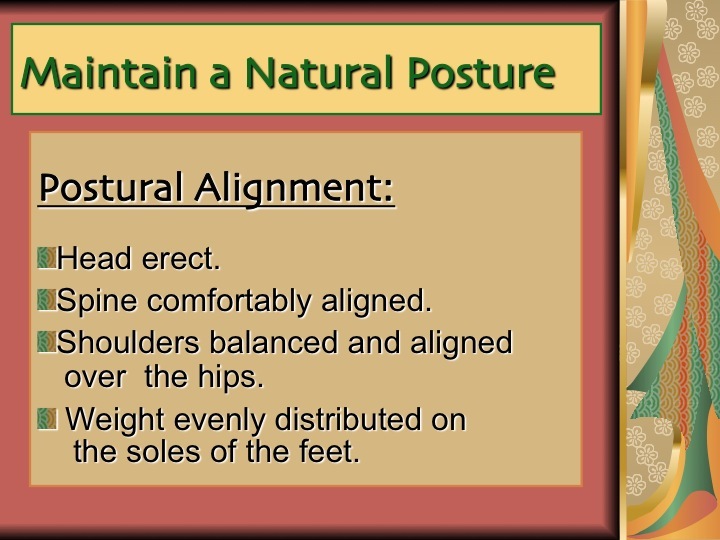 This requires minimal use of your muscles while maintaining awareness of the whole body. 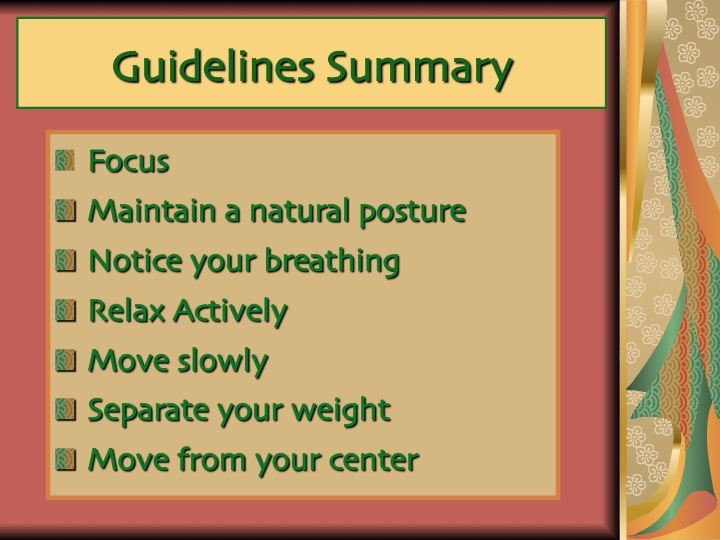 Maintain a natural posture: Keep your body upright with your head erect, back straight, shoulders aligned over your hips, and feet flat. 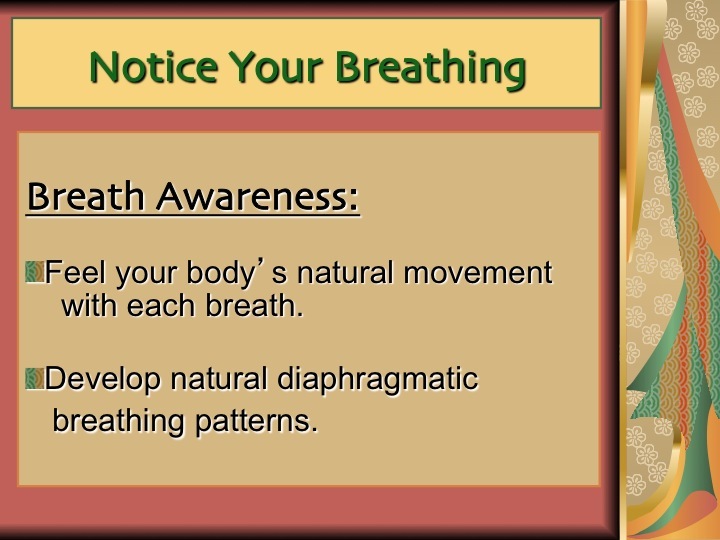 Notice your breathing: Breathe naturally through your nose. 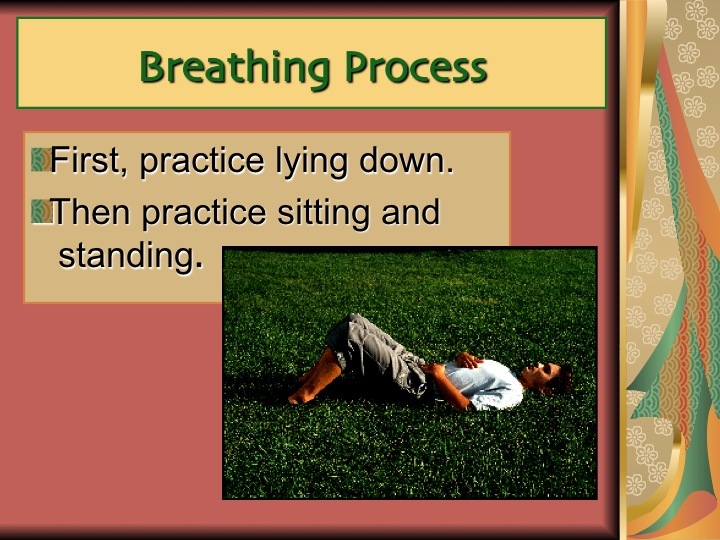 Relax your belly so that it expands as you inhale and contracts as you exhale. 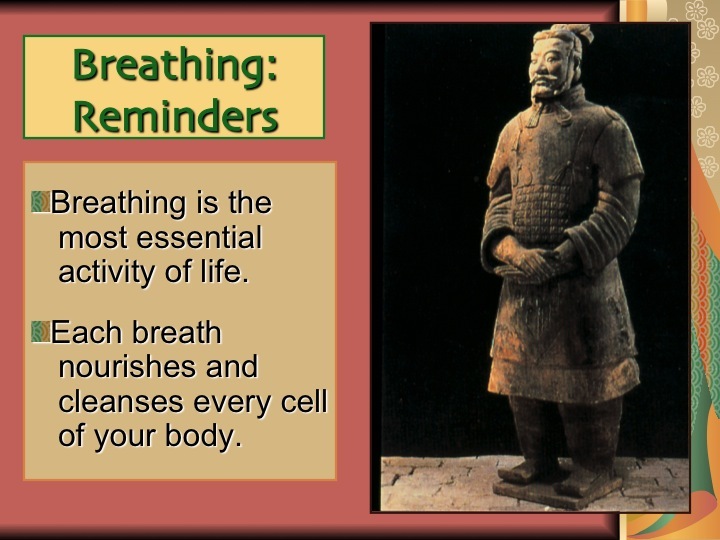 Avoid holding your breath while concentrating. Move slowly: Most exercises focus on exertion and straining as a means to achieving increased strength and endurance. 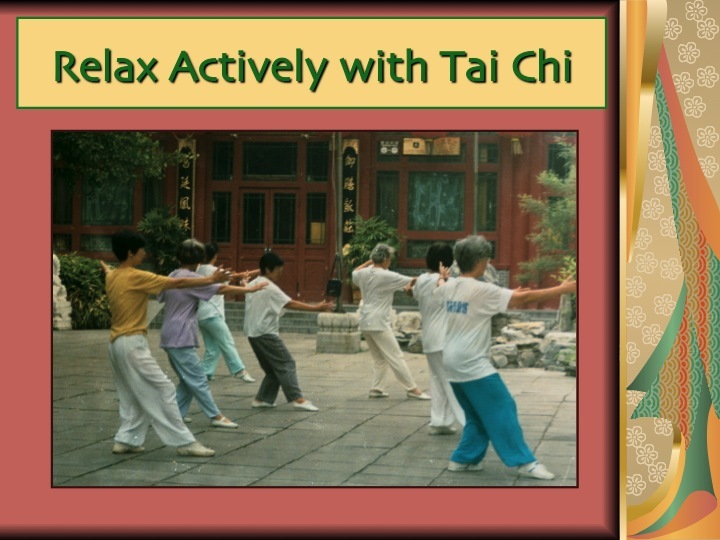 In contrast, Tai Chi builds strength and endurance through slow, relaxed, continuous movement in a flexed stance. 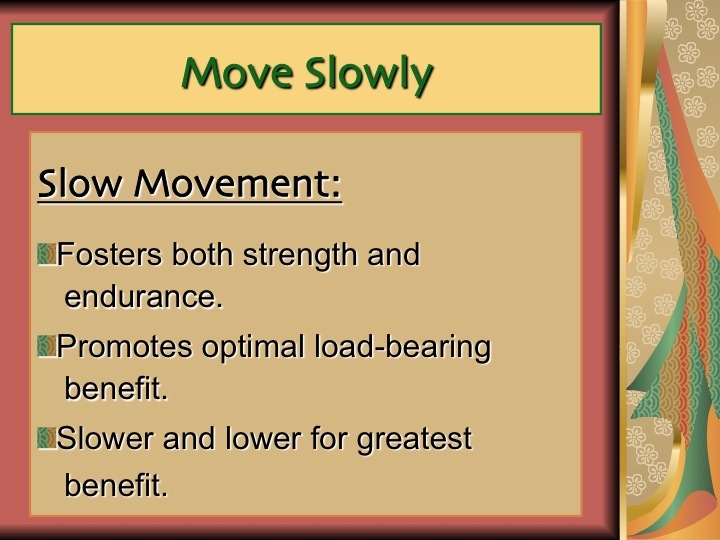 The slower and lower the movement, the greater the strength and endurance benefit. 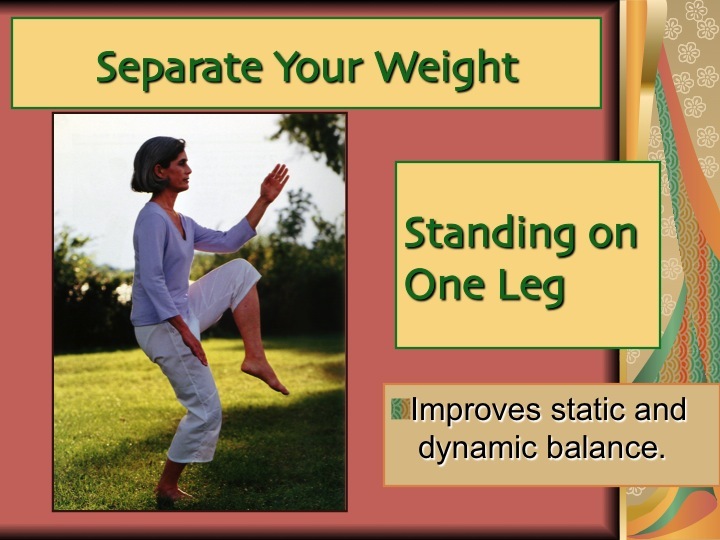 Separate your weight: Balancing entirely on one foot is known as “separating the weight”—it helps establish balance and dramatically increases leg strength. 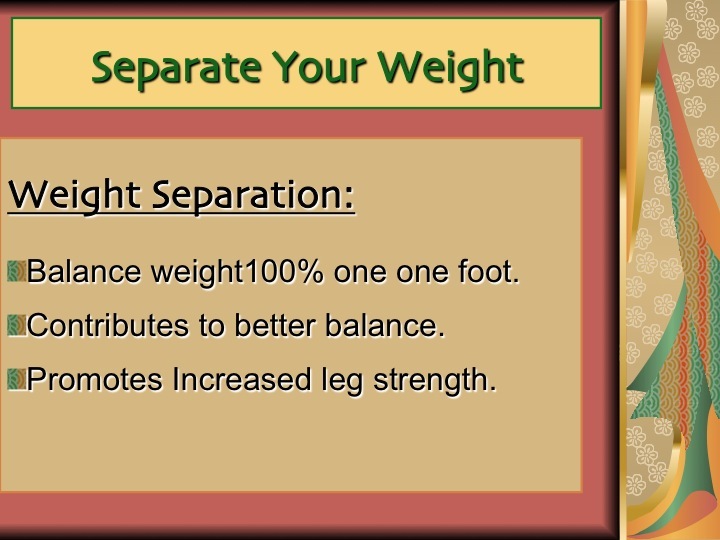 During transitions and when shifting weight, keep your body upright and make sure that 100 percent of your weight rests on your stable foot. 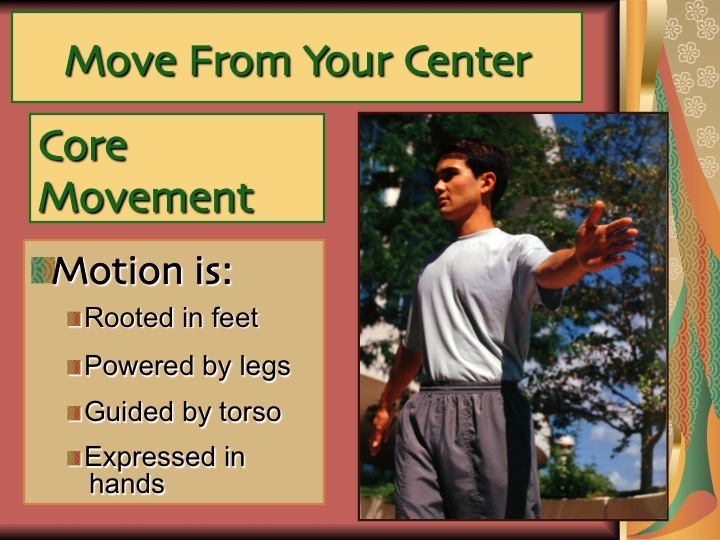 Move from your center: Consider the head, torso, and pelvis as a single “column” aligned over your legs and feet. 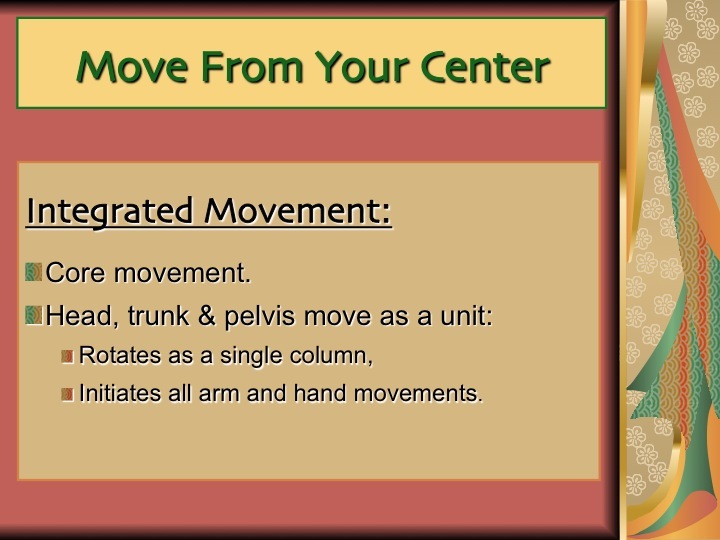 All arm and hand movements are initiated by the rotation of this “column.” There is no twisting of the spine. 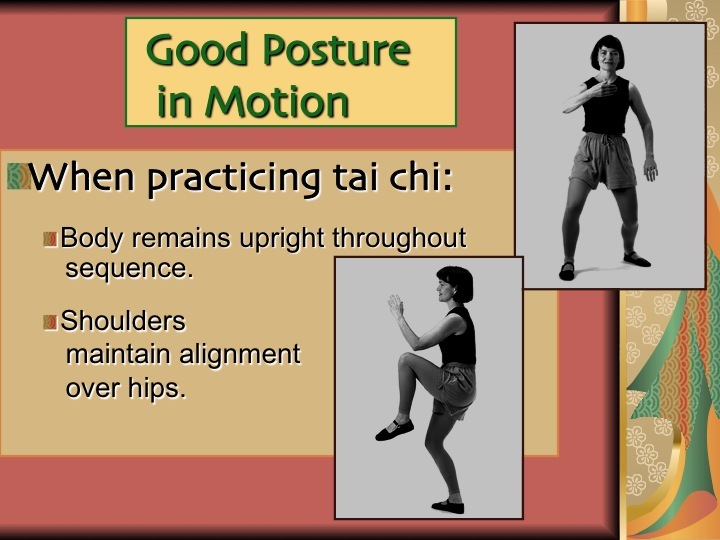 Also called core movement, it creates the effortless-looking flow of motion characteristic of Tai Chi. 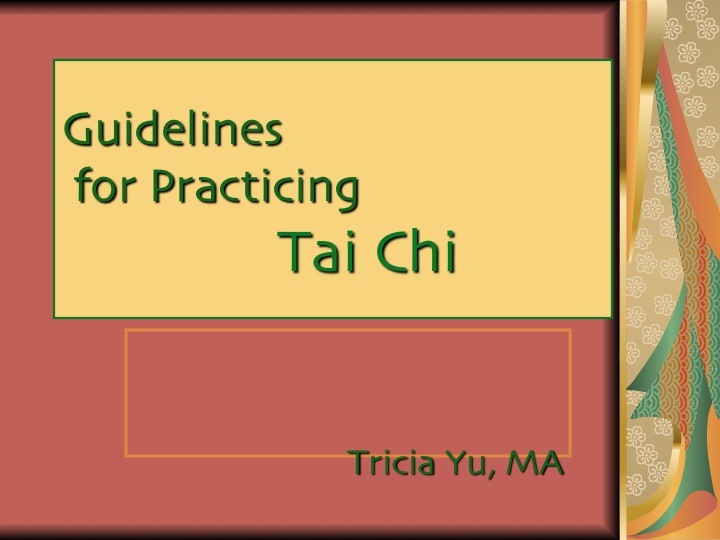 Please take a moment to view our Tai Chi Guideline slideshow presentation below.